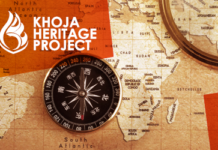 The Khoja Heritage tour to India proved an unforgettable opportunity to experience the land of our ancestors. find out where our forefathers came from and the steps they took for us to become the Shias we are today. 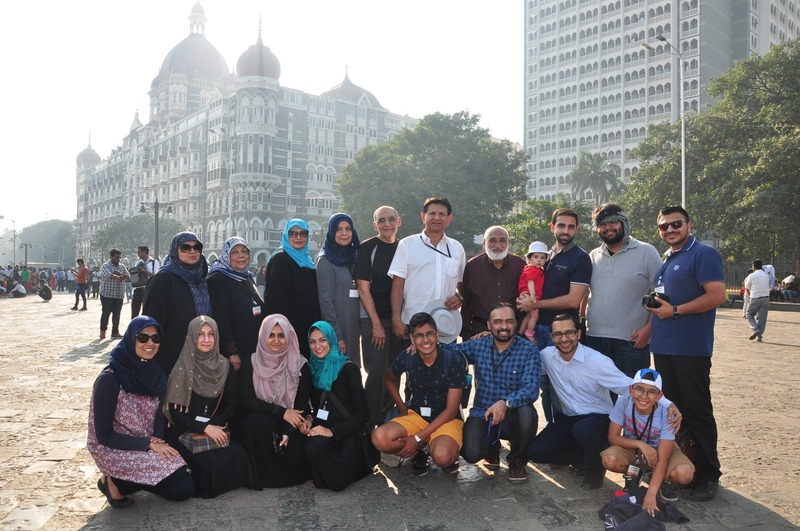 The group, ranging in age from a baby girl of 5 months to around 70, visited some key historical locations as they took a step back in time to connect with our roots. Running from 20 – 30 December, the tour began with a visit to Mulla Qadar Mehfil, the pioneering institution for the nascent KSI community. The narrow street of Khoja Mohalla still contains the aura of the trade and commerce of our ancestors. The neighbouring Sunni, Ismaili and Ithna Asheries religious and cultural institutions in were reminiscent of the shared heritage of 14th to 19th century. We were fortunate to pray Jumma prayers in Khoja Masjid and Maghrib prayers in Mughal Masjid. Day 2 began with visiting Hasnabad, burial place of the 46th Imam of the Ismaili Shias. This was followed by visiting Aarambaug, the KSI cemetery. 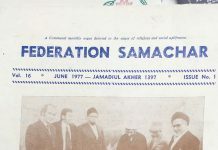 The gathering hosted Dr. Asgar Moledina, former President and current councillor of the World Federation, who spoke on the importance of community heritage. After came a boat ride at the Gateway of India, then finally the highlight of the day – a reflection session which formed the base for an engaging debate on the preservation of Gujarati language. Day 4 began with exploring the history and culture of Kutch, then on to the monumental white tomb of Peer Gulamali Shah, a 15th century mystic saint. To understand the sophistication of perilous journey of the forefathers in dhows, the tour organised a visit to a ship-builder’s in Mandvi to learn how long it would have taken for a person to travel from Mandvi to Bagamoyo in the mid-19th century – proof of the challenges our elders overcame on their incredible journey. Day 5 was exclusively dedicated to recreation, including visiting Kalo Dungar, the highest point in Kutch with its breathtaking views (and option of a camel ride to the top). On day 6 the group travelled to Amreli, the resting place of the great community historian Marhum Edalji Dhanji Kaba before the journey continued on to Bhavnagar. Day 7 was a visit to Allama Haji Naji’s burial place in the community cemetery, then a trip to the countryside of Gujarat to catch glimpses of life in the village of Vartej, connect with community members and gain an insight into their lives. In Bhavnagar there followed an incredible meeting with some young people, which changed the perception of the group in respect to the enormous talent hidden in this part of the world. One man in his 20s has established an academy employing 20 teachers, another is a successful entrepreneur running a multi-national company. Some had their own consultancy firms and others were studying medicine. The credit goes to the community institutions which provided resources for them to pursue their careers and shine in their respective fields. Day 8 commenced with visiting Umme Kulsum Trust, which runs several welfare institutions, then it was on to Ahmedabad. Day 9 began with visiting Mulla Qadar Mehfil in Mumbai and ended at Pirana, burial place of Peer Imam Shah, the founder of the eclectic sect of Satpanth (the true path). Participants were both shocked and surprised to see how Satpanth tradition intertwined the tenets of Hinduism and Islam. 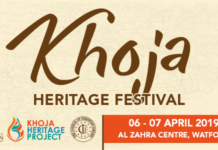 The faith of the early Khojas, a caste distinction, is believed to have been Satpanth before being identified as more defined identities of Ismailis or Ithna Asheris. This memorable, emotive and uplifting tour ended with tears of joy and gratitude.